Smart Buildings will create a scalable foundation for creating the elusive smart city, building by building, from the ground up. Launched in 2017, TIA’s Smart Buildings Program focuses on connectivity, interoperability, communications and capacity. It brings together thought leaders and subject matter experts from across the real estate and ICT ecosystem to define exactly what a smart building is and provide a framework for assessing that definition. TIA invites individuals to learn about the Smart Buildings Program and join the collaboration efforts of more than 100 companies. This program and its global thought leaders are breaking new ground with vision and innovation that’s poised to drive significant Return on Investment (ROI). Together, TIA and its members will grow the estimated $32B industry, and realize the benefits of the connected live, work and play environment of the future. Smart Buildings are just beginning to enter the marketplace, and they differ in their degrees of smart capabilities. In a smart building, sensors abound capturing both internal and external data. Data is being shared and processed instantly across numerous systems that interoperate seamlessly. Some systems work autonomously, others require further activation. Together they support a system of systems where structure functions fluidly and can adapt quickly to numerous situations. A building that captures, manages and uses data across its fully integrated system to provide a seamless experience to those who interact with it—from a real estate portfolio manager or facilities operator, to a healthcare clinician, or flower delivery visitor. TIA translates this vision into a holistic view of the Smart Building in its assessment. Smart Buildings have the “characteristics” of connectivity, functionality, sensing and data, intelligence, interoperability, safety, security, resilience, power and energy. These separate disciplines unite in a Smart Building to provide that fully immersive experience that serve those that interact with it. 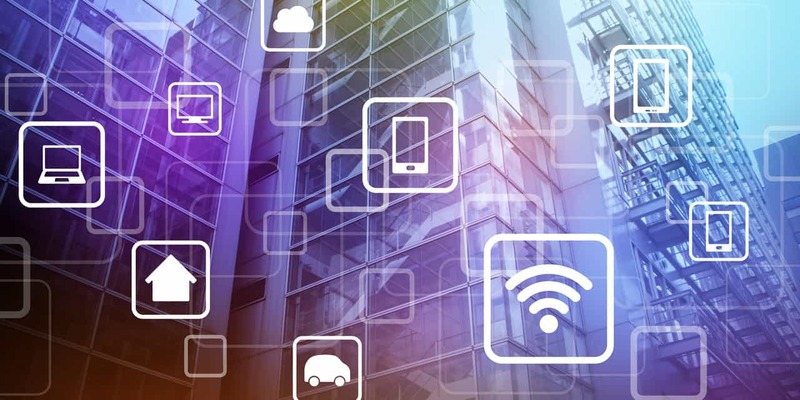 Connectivity and communications are the substructure that makes a building “smart.” TIA has identified at least 26 different communications protocols and types of networks that are designed for in-building use. Data is accessed in a number of ways within a smart building including mobile phones, sensors and video. The data is then used to deliver services across building systems and serve the needs of the buildings tenants. Interoperable building systems require true and complete data sharing and cross functionality among base buildings systems of HVAC, water, electricity, sewage and safety. Intelligence, which refers to varying layers of machine learning and artificial intelligence, increases the capability of systems to predict, manage, prevent and react to situations as they arise. Why should I care about Smart Buildings? Smart Buildings transform how humans interact with the environment in which they live, and how that environment serves them. Data-rich systems provide information that allow for informed business intelligence, efficiencies and optimization of services and systems. Smart Buildings offer environments that serve their inhabitants, focusing on their health, productivity and general well-being, while also operating more efficiently and safely. The concept of “Building as a Service” becomes a reality with the building “learning” and “knowing” the preferences and needs of its users, delivering the requested information and services. Smart Buildings are also the connected infrastructure of Smart Cities. The communications infrastructure sustained and enabled by a Smart Building will create an environment of connectivity which will support the development of smart campuses and communities, and the services these communities provide to its citizens, visitors, businesses and other organizations. Both privately owned and public buildings will be the foundations of Smart Cities. What is the value proposition of Smart Buildings? Energy Efficiency: The Edge Building in Amsterdam reports 70% less energy used than in other office buildings. Ethernet-powered LED lighting system is 80% more efficient than conventional illumination. Improved air quality can boost employee productivity by 8% and brain functioning by 61%. Employees who feel they can self-manage temperature levels are 81% more productive. To realize these statistics, buildings must contain and operationalize “smart” functioning. Specific building use cases such as hospitals, hotels and stadiums are more quickly adopting smart building technologies to track assets, provide personalized guest services, and deliver rich media and direct-to-consumer unique experiences. What is the relationship between sustainability and Smart Buildings? Sustainability and Smart Buildings are symbiotic. While each can be attained on their own, together they increase the magnitude of their impact while also increasing the efficiencies by which sustainability is attained. Green buildings take advantage of specialized design and products. Smart Buildings take that design, bring in sensing, data and intelligence, to turn specialized services into more robust, connected, systems that can have impact in a unified way across a property and property portfolio. “Smart” in real property can equate to further cost savings with streamlined systems and predictive maintenance, while also raising property values with tenant-desired personalized and eco-friendly services. How can I contribute to the Smart Buildings ecosystem? The Smart Building market generated more than $18B in investment last year. Now is the time to get involved. The industry is still defining itself and ecosystem partners are still learning what possibilities exist. It requires dedication of resources over a multi-year timeline and needs creative and innovative thinkers and developers who can envision both what a smart building is, and what such a platform of connectivity and capabilities can offer to the people who inhabit it. This is a growth market. How does someone get involved in the TIA Smart Buildings Program? Joining is easy. Contact TIA’s Limor Schafman Director of the Smart Buildings Program to discuss details of the involvement. TIA is always looking to expand the wealth of subject matter experts that are contributing to and supporting the program.